If you love cycling, you just have to rent a bicycle in Canterbury and head over to the Great Stour Way. 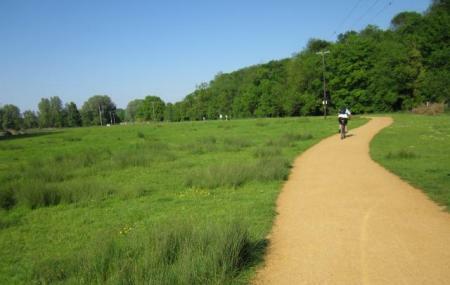 It is part of the National Cycle Network Route 18 and provides a three mile long traffic-free pedestrian, cycle and disabled access path between Chartham and Canterbury along the River Great Stour. A perfect way to spend an afternoon. Don't forget to carry plenty of drinking water. Do wear appropriate cycling gear. Recommended time to visit is 08:00 am to 03:00 pm. How popular is Great Stour Way? People normally club together St. Mary's Church, Chilham and RSPB Reserve Blean Woods while planning their visit to Great Stour Way.